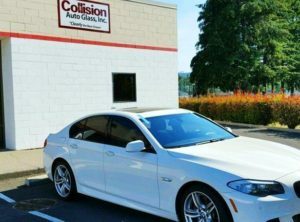 Collision Auto Glass has been providing our customers with our free mobile service and in shop service from our certified technicians since 2008. Our #1 goal is to deliver high-quality, safe windshields and total installation satisfaction! We’ll come to your business, office, or home with our mobile glass shop. Why choose us for your auto glass and windshield replacement? We have been locally operated and owned since opening in 2008. We provide auto glass replacement and auto glass repair on all trucks, cars, and SUV’s in the Beaverton metro and surrounding areas. Auto glass and windshield replacement work is done using the best materials and highest standards for craftsmanship. Get your cracked or broken windshield replaced by our Certified technicians for the clear choice for all your auto glass needs! We use 3rd party billing companies such as Lynx Services, Safelite Solutions, and Harmon Solutions or can bill your insurance directly! We are a preferred auto glass company with over 300 Insurance Companies. 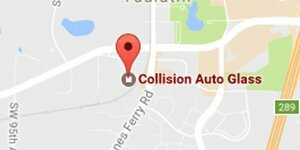 Collision Auto Glass has a higher 5 star rating on Google, Facebook, Angie’s List & Yelp than any other glass company in all of the Beaverton metro and surrounding areas! Our shop in NW Portland is fully equipped to handle any of your auto glass needs, including auto door glass. We can also come directly to you or your business at no additional charge. We Accept Checks, Cash, Visa, MasterCard, GSA Government Cards for payment. We are proud to deliver you with an exclusive no leak lifetime guarantee* for as long as you own your vehicle. What is covered? Leakage and workmanship for any pieces of glass that were replaced for as long as you own your vehicle. Our guarantee is non-transferable and does not cover pre-existing or new damage that may have occurred after the replacement part was installed on the vehicle. All parts come with a manufacturer guarantee. 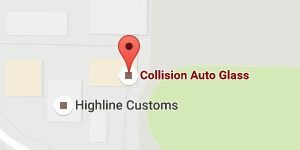 All diagnostics and repairs must be performed by Collision Auto Glass, Inc. in a timely manner to avoid additional damage. 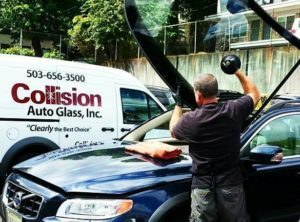 Collision Auto Glass, Inc is not responsible for any additional damage that may have been caused as a result of leakage. Contact us now for Beaverton auto glass services! Why wait any long when we can come to you? Get the area’s leading auto glass services from a company that treats you right. Call or contact us today!